it is a venue characterised by anticipation. and your arrival there some four hours later. especially when arriving in the town by public transport. 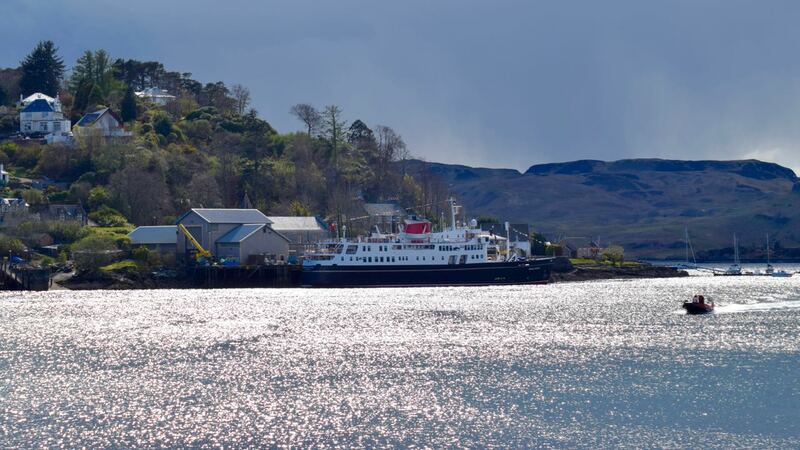 Our arrival in Oban was too late to catch the ferry. However, the weather was bright, even if a touch chilly. there was time for a stroll along the esplanade. How we were appreciating the longer day light hours. This was in contrast with the time spent in Oxfordshire. Across the bay the sun was slowly setting behind the Isle of Kerrera. it was most important to keep a watchful eye on the time. Anticipating breakfast on board the Clansman. Anticipating a calm crossing to home on the Isle of Tiree. 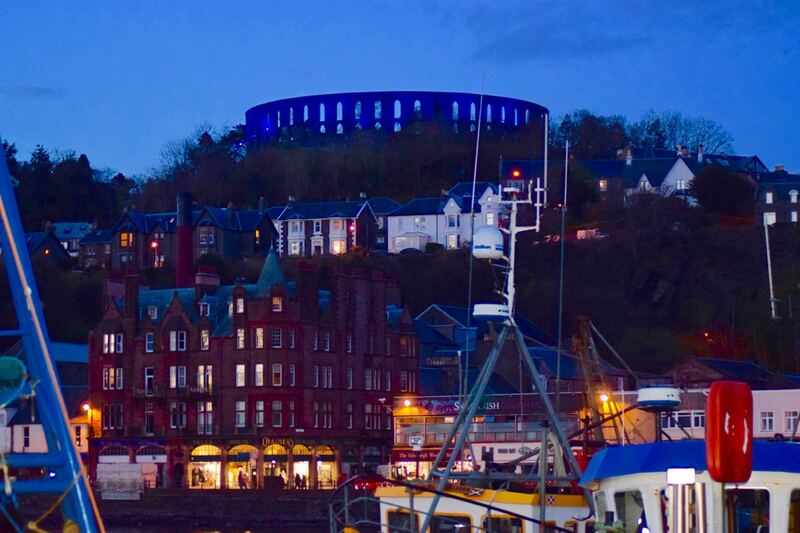 McCaig’s Tower dominates the night time skyline.